Crain's Chicago Business is reporting what a tipster told UU back in February: the huge Pensacola Place complex on Montrose, which includes 264 units of rental housing and the Jewel-Osco, has been sold. At the time, our reader said, "Local firm Waterton Residential has the property under contract. 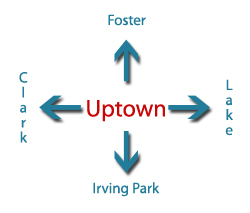 They see a lot of potential in Uptown and believe now is the right time to buy in the neighborhood. They've done some nice work upgrading Presidential Towers, River North Park Apartments, One East Delaware, and The Seneca Hotel." The price tag? Crain's reports it was a whopping $65.8 million. 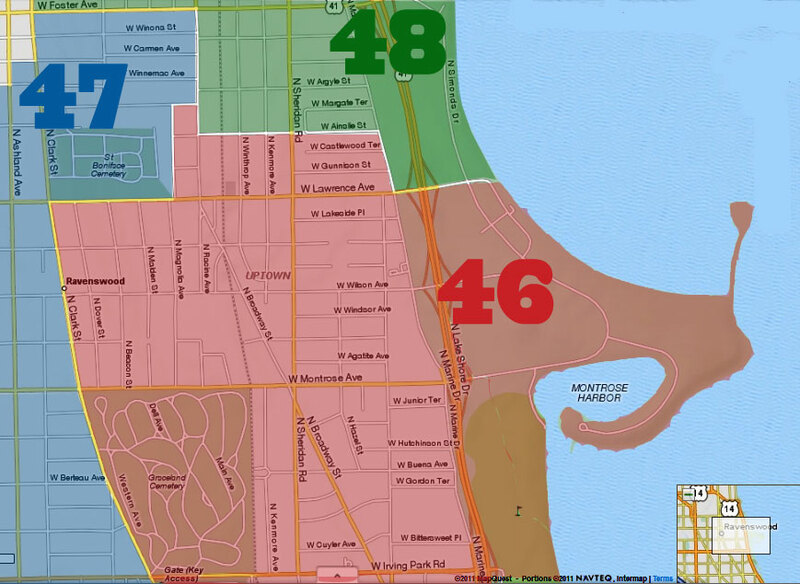 According to the article, Waterton sees Uptown as a great investment because people are moving north to escape higher rents in Lincoln Park and Lakeview. The building has a massive fourth-floor outdoor deck that the firm plans to fix up, removing an existing tennis court and adding cabanas, fire pits and other features alongside its outdoor swimming pool, he said. The deck also includes plenty of room along its perimeter for dozens more apartments. Waterton has discussed expansion plans with Ald. James Cappleman (46th), whose ward includes the property, but hasn't decided what it will build. Didn't I read somewhere that there was little development or money coming into Uptown? Wasn't that a big part of someone's campaign a few weeks ago? What was her name? You know I can't recall. I will have to look around. Oh I found it in the Tribune endorsement, Amy Crawford. Now I remember her. Speaking of money I jumped into the bog that is the campaign finance disclosures and found some interesting things. Her supporters like to portray her as the financial underdog. Nuh huh. It's hard to know, but the two campaigns spent approximately the same amount of money through the end of March even counting the money certain Rahmian influenced PACS spent on the Capplebehalf. As for Pensacola Place I hope some more units are built there. Great location. Jewel, walking distance to the new Wilson El, Target, and of course the Sonic. More great news! Is the space World Gym occupies part of this sale?